Have fun with your friends and create your own personalized canvas painting with guided instructions. 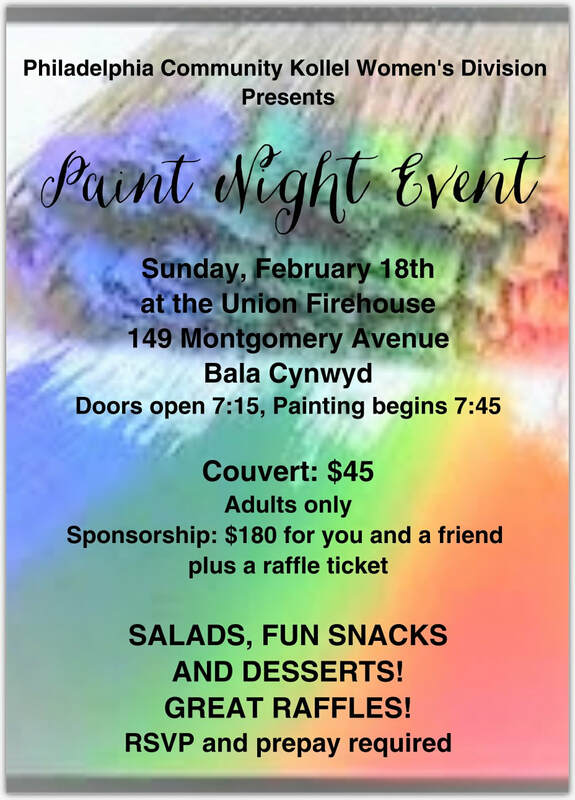 SALADS, FUN SNACKS ,DESSERTS AND GREAT RAFFLES! For questions and comments, feel free to contact Liba Bauminger at bauminger@verizon.net. Please submit RSVP and pay online.